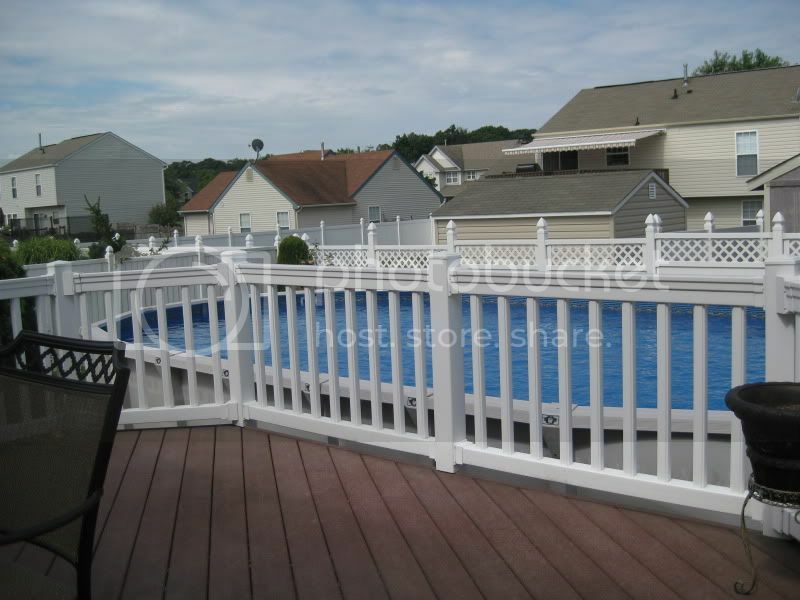 Anyone expand their existing deck to their new pool? We have a large Trex composite deck that comes off the house. Our pool was installed about 2 feet in front of the deck. 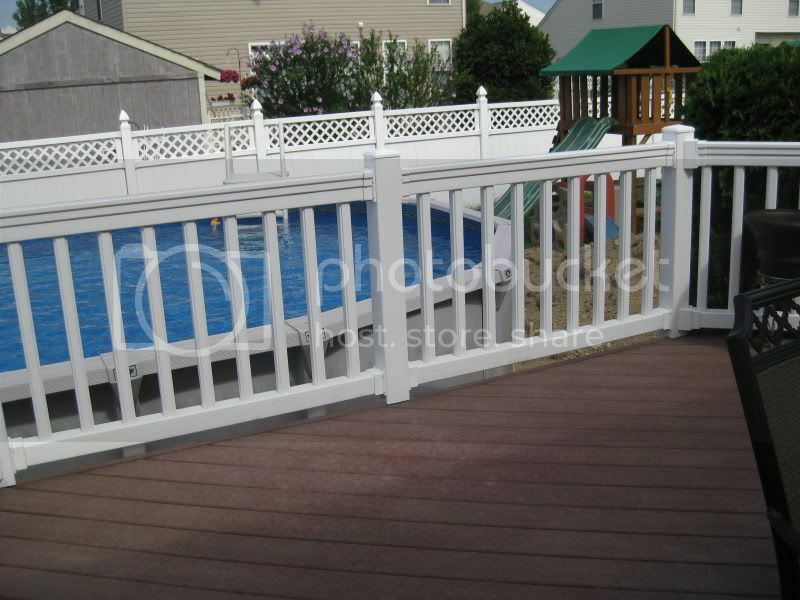 We were originally thinking we'd like to change the deck so that the deck comes right up to the pool and one could enter the pool from the deck, giving you that inground look. I'm wondering ball park how much it will cost to make these changes? I'll post some pictures if anyone is interested in seeing exactly what I'm talking about. Has anyone else done this? If so was it difficult? We extended our deck to reach about half way around the pool. Ours is treated wood instead of composite. I'm so glad we did this! Now we can walk out the back door and get into the pool without our feet ever touching the ground. It also makes vacuuming and brushing alot easier than it was before. We connected our screened in porch all the way along the back of the house, to wrap half way around our oval pool on the side of the house. I love it!!!! Our pool was installed by the previous homeowner. 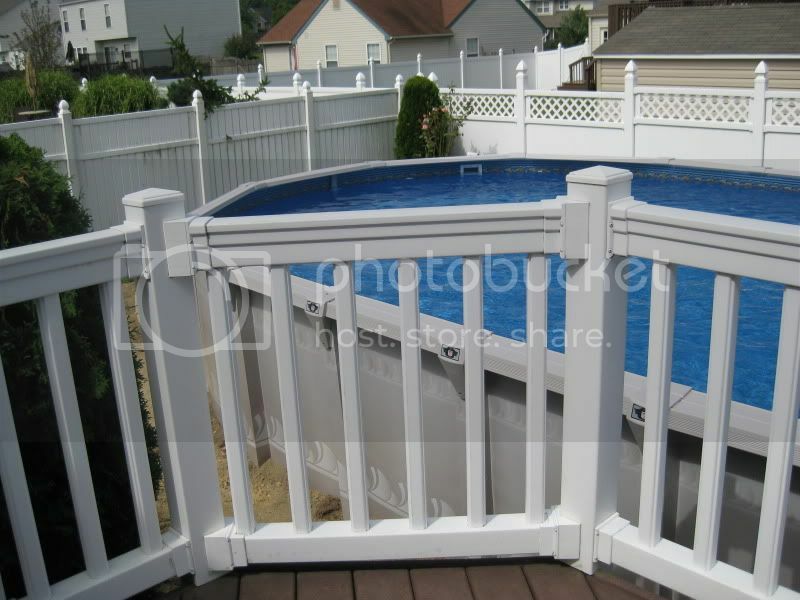 When it was first installed, the deck did not extend to the pool. We have a walkout basement, and the yard is 10' lower than the original deck. After the pool had been installed for a year or so, they decided to build a deck for the pool itself. This one is at pool level, and extends around 1/2 the pool. In addition to the original stairs from the upper deck to the patio, they added a stairway from the upper deck to the lower deck, and a stairway from the lower deck to the patio, so there are stairs all over the place. From the photos you posted, it would appear that you won't have that 2-level issue, or only a couple of feet at most. I really like having the deck at pool level, but do wish that it went all the way around instead of only 1/2 way. Maybe some day I'll extend it the rest of the way. Anyone feel like positing pictures? I'm just trying to get some ideas as to what would look good. The deck is about 6 inches shorter than the pool so we could either do a step up or put the deck under the rails. Putting the deck under the rails is good. Then you will have access if you ever need to change the liner. I agree with Zea on the deck under the rails. 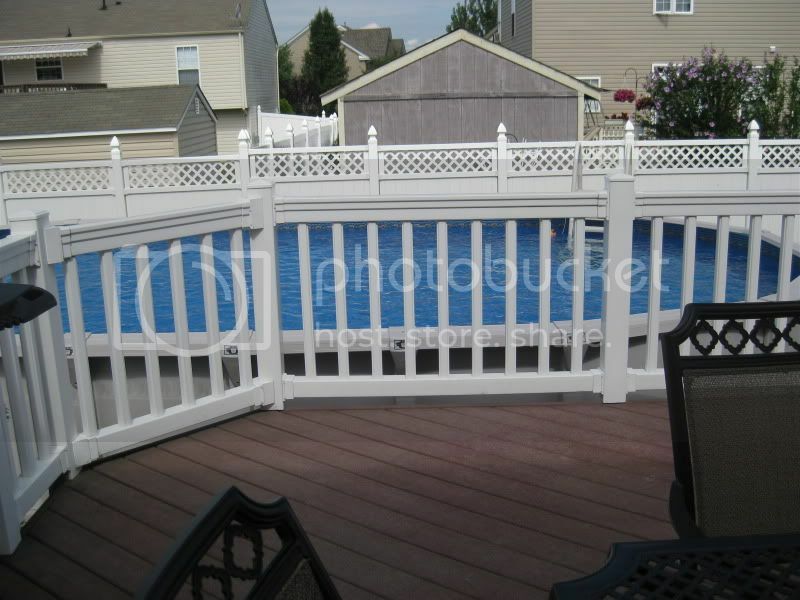 Mine was built with the deck about 1/2" below the rails, and the decking is cut around the wall supports so it fits fairly closely to the pool wall. There's a gap of about 1/4 - 1/2" between the pool wall and the deck. Made it really easy to get the rails off when I had to replace the liner last year.